There is no automobile insurance requirement in New Hampshire. This means the State can’t force you to carry minimum coverage for a vehicle. However, if you have been convicted of a DWI charge, you will be required by NH law to carry automobile insurance. The mandated insurance is called an SR-22 certificate. If you have been ordered to carry SR-22 insurance and are unsure of what to do, we can help. Tenn And Tenn, P.A. in Manchester, NH is a trusted source for up to date information about NH criminal law and your rights and protections under those laws. SR-22 is a safety responsibility form and it is needed before the state will reinstate your driver’s license. The time required by law to carry the insurance varies according to the details of the DWI incident. If the conviction was for a first time DWI offense, you may have to pay for SR-22 insurance for a period of 3 years from the time your driver’s license suspension is over. If it is a second DWI conviction, insurance may be mandated for 5 years. If you cancel the policy or the policy lapses due to non-payment, the Department of Motor Vehicles will be notified. If you are convicted of a major motor vehicle offense during the time frame in which you are obligated to carry SR-22 insurance, 3 more years of an insurance mandate can be added to your sentence. 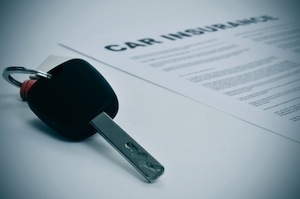 If you do not own a car, you still need to carry a non-owners policy of SR-22 insurance. SR-22 can be costly and can impact your life in a number of ways. The consequences of not following through with the mandate or not keeping the insurance for as long as ordered can also be costly and affect your criminal record. Anytime you are facing a criminal charge that can require carrying a sr-22, such as a DWI, you should retain an experienced criminal defense attorney to help defend your legal rights. The New Hampshire criminal defense lawyer’s at Tenn And Tenn, P.A., can explain the SR-22 requirement and outline the details related to your case. With trusted legal advice and insight on your side, you can feel confident your rights are protected and your expectations are clear. Misunderstandings and miscommunications can count against you. But with us by your side, there will be no misunderstandings that can negatively impact your record. We have the experience and extensive knowledge of the law to give your case the attention needed and ensure you get the best possible resolution for any mandate or judgment against you. Contact us today to discuss the details of your case and see if we can help minimize your SR-22 mandate and help you put this experience behind you as soon as possible.